Alec Baldwin has got a lot to answer for. And, no, I’m not talking about his appearance in “Dr. Seuss' The Cat in the Hat”. I am, of course referring to his role as Blake, the alpha dog motivational salesman in the film “Glengarry Glen Ross”. By the way, you can blame the IMDb website for the “alpha dog motivational salesperson” tag. It’s a laughable description. But it’s somewhat relevant, because the role he plays in that film is, by the standards of effective salesmanagership, completely barking. For those of you unfamiliar with the movie, Blake’s philosophy of salepersonship is that, if sales people do nothing else, then they should at least Always Be Closing. ABC. That may strike you as a neat acronym - but it’s at the heart of a lot of sales problems. I get many clients approach me believing that their problem is simply that their sales people can’t close. And, at face value, it looks as if they might be right. Their pipeline is jammed full of late stage opportunities that their sales people just can’t get over the goal line. All it would take, so they hope, is better “closing technique”. A few smart questions. A touch of pressure. The alternative close. The generous offer of a puppy dog. Or even, heaven forefend, the use of a thermometer close (I suggest you Google that one). Well, if it was that simple, sales training courses would offer money back guarantees. Which, of course they don’t, and even if they did, they probably wouldn’t be worth the paper or the electronic ink they are printed on. You see, the problem with most of the opportunities that seem to be stuck at the bottom of the sales funnel isn’t that the sales person isn’t closing them right, it’s that the sales person never opened them right to start with. 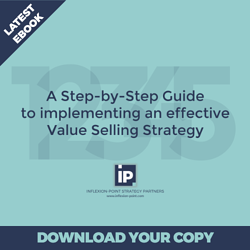 In high-value, complex sales, the most common reason sales people struggle to close deals is that the opportunity was never real in the first place, was set up poorly, and/or hasn’t been developed or managed properly since. If you are in this position, there are no miracle cures, and there is no substitute for effective qualification, not just upfront, but throughout the sales cycle. At every stage you must ask yourself, realistically, whether they are likely to buy anything, whether they are likely to buy from you, and whether the opportunity is worth winning. Top performing sales people qualify rigorously and repeatedly throughout the sales process, because they have too much respect for their own time to chase opportunities that are never likely to close, and would prefer to get out and find a better opportunity instead. The top performers aren’t the problem - it’s the middle-of-the-road sales people who believe that by eliminating a dodgy deal they are reducing the value of their pipeline - when of course the opposite is true. Poorly qualified deals drag down the true value of the pipeline. But it’s not just down to the sales people. Sales managers have a key responsibility to ensure that their sales people critically and robustly qualify every opportunity, with the default being, if the deal looks questionable, get clarity as a matter of urgency or get rid. Sales people who open a deal in the right way stand a much better chance of closing it smoothly and on time. If you invest time up front in truly understanding all the dimensions of the opportunity, it’s much more likely to move forward in a predictable fashion. What impact is this issue having on your operations? Who else is likely to be affected? What’s the impact on them? How has the company tried to deal with it before? What were the results? Why is now the right time to address the issue? What would happen if nothing changed? What options have you identified? Which ones seem the most promising? How does your company usually cope with this sort of change? Where’s the budget going to come from? Who is going to have to get involved in any approvals? Does the person I’m dealing with me strike me as someone that can make things happen? Am I really sure that change is more desirable than sticking with the status quo? Am I really sure my solution is better than any other option, including “do nothing”? Don’t be a smart Alec! Don’t be a smart Alec. If you opened the deal properly, and qualified it effectively, you wouldn’t have to work so hard at closing it. And you might not irritate your prospects quite as much. There is, by the way, a more effective approach. 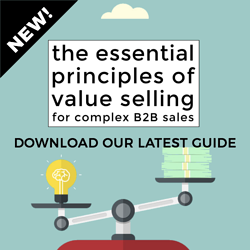 You can learn some of the answers by downloading our guide to the 10 winning habits of today's top-performing B2B sales and marketing organisations.